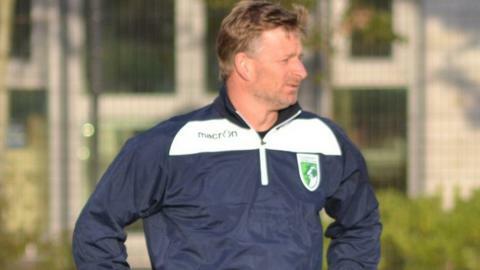 Guernsey FC manager Tony Vance says his side need to "start putting some points on the board" in the league. They are currently 19th in Isthmian League Division One South, but have up to five games in hand on their rivals. "If we can utilise our games in hand and get some positive results, we can get right back up in there," Vance told BBC Radio Guernsey. "We've got to turn these results and performances around and hopefully we can do that this weekend." On Saturday, Guernsey travel to mid-table Walton Casuals, who are ground-sharing at Merstham's Moatside Stadium, the scene of Guernsey's worst ever defeat. The Green Lions have Simon Geall, Jamie Dodd and Tom Strawbridge back, but are without a number of other players, including injured Tom De La Mare and Jason Winch. "The last time we went there we got tonked 8-0 (vs Mertsham) so we've got some bad memories of that place," added Vance. "If you look at the table we're right down there , so we need to start putting some points on the board."